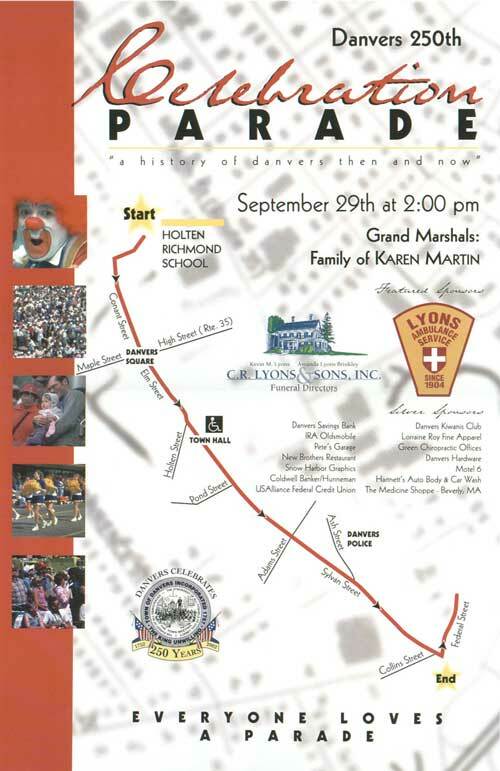 Danvers 250 Anniversary Celebration: Parade "A History of Danvers Then and Now"
The parade elements, Bands, Floats, etc will be utilizing most of the Roadway so please do not sit on the actual road surface for your safety. The best locations to view the parade are from the Holten Richmond School on Conant St up to the intersection of Sylvan and Pine Streets. The Parade ends at Sylvan and Federal but some floats will be breaking off at Pine Street. Please remember this is a Carry in Carry out event. We hope you enjoy the Parade.